Remy channels One Direction to help us understand the tax code. Written and performed by Remy. Music tracks and background vocals by Ben Karlstrom. Produced and edited by Meredith Bragg. Visit http://reason.com/reasontv/2015/04/15… for downloadable versions and subscribe to Reason TV’s YouTube channel to get automatic notifications when new material goes live. You can follow Reason on Twitter at @reason and follow Remy on Twitter at @goremy. ” If Barbie starred in Fifty Shades of Grey, she would be the one in charge. Stay tuned for her continued misadventures! This video hits the PC nail on the head . Earlier this month we highlighted a video that was produced by the Stand With Hillary Super PAC to support the “inevitable” campaign , it is her turn after all , of Ms Hillary Clinton for president . There was much to do on both sides of the aisle about the video , most of which commented on the fact that said video was unintended parody . This current video , by the esteemed Remy is real , intentional parody . Brought to you , as always , by ReasonTV we hope you enjoy it as much as we did . Mitt Romney and Ben Carson now? ” As Jonathan Gruber could tell you, the only way to sell “stupid” American voters on Obamacare was to keep us confused about what the law actually does. Subscribe to Reason TV’s YouTube channel to get automatic notifications when new material go live. Written and performed by Remy. Mastering and background vocals by Ben Karlstrom. Video produced and edited by Meredith Bragg. Scroll down for lyrics, and visit http://reason.com/reasontv/2014/11/17… for downloadable versions, and more. Follow Remy on Twitter at @goremy and Reason at @reason. Why? Why? Why? Why? Why? Why? But won’t people read it in three years or so? ” The Obama administration puts its own special spin on the Taylor Swift hit. ” WITHOUT SPOILERS. The Walking Dead’s 5th season has just been released. We found secret footage of this awesome series: The Walking Drunk. Woe Unto Those Who Criticize Beyonce … SNL Presents “The Beygency” … Sound Familiar ? Criticize her , if you dare . Lisa Loeb helps John Oliver explain to the state of Oregon how they screwed up the roll out of their healthcare website. With a song! 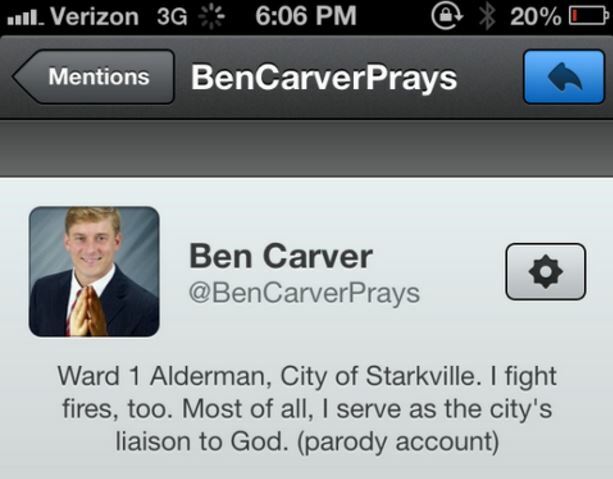 ” The War on Free Speech marches into Starkville, Mississippi, where police are seeking the master criminals who lampooned Starkville Aldermen David Little and Ben Carver using the Twitter accounts @DavidLittleBOA and @BenCarverPray. ” Vladimir Putin calls Sarah Palin to chat about her prediction that he’d invade Ukraine. ” Remy updates the Alanis Morissette hit for a certain senior senator from California. Written by Remy. Video and animation by Meredith Bragg. Music performed, produced, recorded, mixed and mastered by Ben Karlstrom. For full text, links, downloadable versions and more, go to: http://reason.com/reasontv/2014/03/20… . I mean, don’t you think? happened to be good at bridge. is sneaking up on you. ” This link backs up the statistics presented in this video. ” A bunch of Swedish marines based in Afghanistan decided to make a parody video of the famous “Greased Lightning” song from the 1978 movie “Grease.” They never expected it to go viral but, of course, it did. Thanks to a contributor on Reddit, shortly after the video was uploaded to YouTube over the weekend, it went viral. By Sunday, the video had received over half a million hits and was mentioned in the media worldwide. Big G is the leader of The Kronies. He towers over the other Kronies—heck, he towers over everybody. His bulging muscles are only a fraction of his power. His half-blue, half-red suit symbolizes the two-party system. He has a mirror for a face (because Big G is “us”). How can so much power be concentrated in one hero? Ask the Kronies. Together, they make an unstoppable team. Big G’s origins are something of a mystery. He is thought to have emerged long, long ago — at a point when human beings started thinking of clan kings as having godlike powers. Some say this powerful entity manifests itself in many different civilizations, at many different places and times. Today he has found his greatest expression here in America — as Big G.
Some think Big G is all powerful. But like all heroes, Big G has a weakness. When the people falter in their belief in the Greater Good, his power starts to wane. Thus, he sometimes has to demonstrate his terrific might, to bring about order, and to align the people towards the Greater Good. A few times in the past, he’s lost grip on the G-force. When that happens he goes underground only to reemerge later — bigger, stronger and more powerful than before. ” The 12 Days of Obamacare…havoc and devastation set to verse! On the first day of Obamacare, Pelosi gave to me . . .
A healthcare “gift” for my dear fa-mil-y. On the second day of Obamacare, Barack promised to me . . .
See the other ten days at Kevin Jackson’s Black Sphere . This video is the brainchild of Jon and Kelsey Bufkin of Focal Point Cinematic in Tennessee . It is an extremely well crafted parody of Miley Cyrus’ latest video done with very high production values and themed perfectly for the holiday season .